Fund For Teachers® | Why invest in teachers? Why does investing in teachers matter? 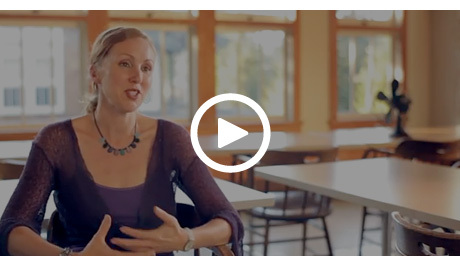 Watch as eight teachers, representing various grade levels in public and private schools across the country, recount the ripple effect of their Fund for Teachers' fellowships. "My fellowship had a direct impact pedagogically on some of the ways I could innovate," says one teacher. "More importantly, it kept me inspired and engaged and those skills and that inspiration absolutely got translated into student achievement and success." In 2008, Leon Travel to Venezuela to study the impact of Hugo Chavez's economic policies as well as public perceptions of the government. Sultan received a second FFT grant in 2011, which he used to conduct interviews throughout Colombia's Isla Providencia to seed an oral history project that inspires students to be amateur historians and view their lives as part of a greater narrative. In advance of her 2008 fellowship, Julie led her students in a bicycle drive. Accompanied by her students, she then met in Zimbabwe the shipping container full of donated bicycles and worked with locals to developed micro-finance enterprises focused on bicycle sales and repair. In 2009, Noah studied the ancient art of boat making in Sulewesi, Indonesia, to develop an interdisciplinary curriculum based on drafting and measurement and make authentic connections between wooden boat construction, mathematics, and history. In 2007, Erik attended a month-long camp for debate coaches at Dartmouth College to create his Title I school’s first debate team. In 2011, Erik received an additional FFT grant to attend the International Society for Technology in Education conference in in Philadelphia to learn how to empower his now nationally competitive debate team with 21st century technology. In 2009, Karen attended the Summer Literacy Institute at the Center for Reading Recovery at Lesley University in Cambridge, MA to develop superior reading instruction. In 2009, Judith pursued film making in Cape Town, South Africa, to create a video documentary about private and public high school students to promote cultural understanding. In 2005, Brendan observed traditional boat builders at work in Formentera, Spain, to learn construction techniques that keep vessels seaworthy for decades. In 2006, Cindy and two teaching partners participated in a teacher exchange program in Zimbabwe.